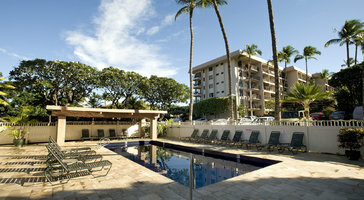 The two-bedroom ocean view suite affords families a spacious lanai with great views of the pacific ocean. 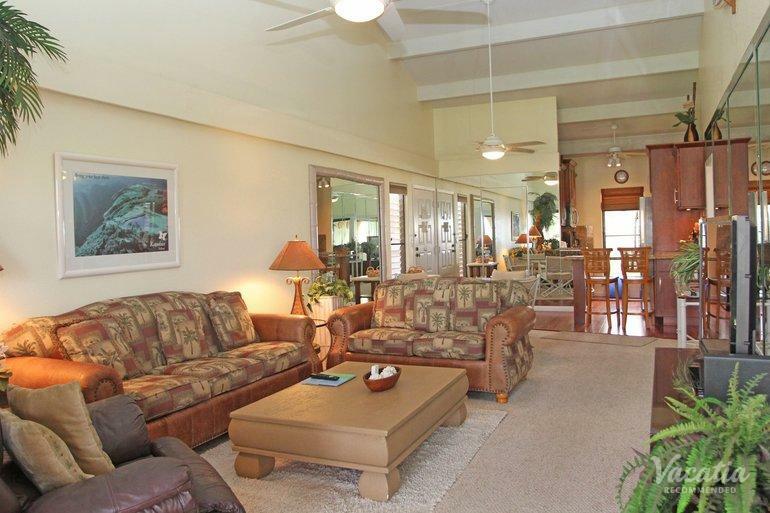 These Maui condos sleep 6 and feature two queen beds and a sleeper sofa. 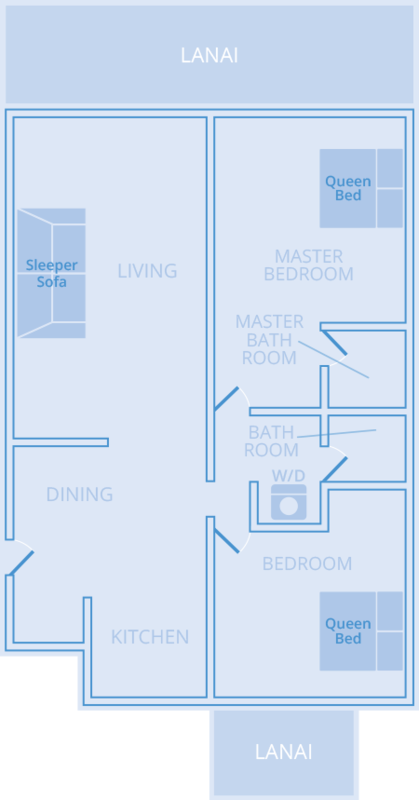 All two-bedroom suites provide guests with a large living area, gourmet chef's kitchen, and washer/dryer.